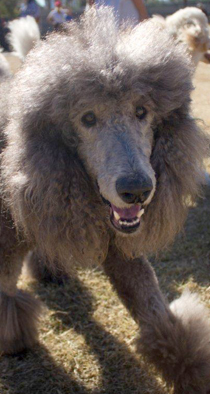 Saving Standards and Standard Poodle mixes who are in need of care and new homes. Meet and greet ready-to-adopt dogs at the PetSmart store. Most adoptions completed same day! No dates confirmed at this time, however, will be at PetSmart on selected dates throughout 2017. Meet and greet ready-to-adopt dogs at the PetSmart store. Most adoptions completed same day! Meet and greet ready-to-adopt dogs at the Petco store in Ahwatukee. Most adoptions completed same day! Over 45 rescue groups on site. Plenty of adoptable pets for all families. All pets spayed/neutered & vaccinated. Pet photos with Santa. Adopter goodie bags. Come find your new best friend! **Arizona Poodle Rescue participation not confirmed yet, but the event will take place. **Over 50 animal rescue organizations will have pets available for adoption, including purebred and mixed-breed dogs and puppies, cats and kittens, bunnies, guinea pigs, rats and even horses. All pets will be spayed/neutered and up-to-date on vaccinations. **Arizona Poodle Rescue participation not yet confirmed, but the event will take place. ** Happiness is . . . Adopting a Pet! Over 30 rescue groups on-site with adoptable dogs & cats. All pets are spayed/neutered and vaccinated. Grimaldi's Pizza, vendors, entertainment, prizes! **Arizona Poodle Rescue participation not yet confirmed, but the event will take place. ** Over 30 rescue groups on site. Plenty of adoptable pets for all families. All pets spayed/neutered & vaccinated. Low cost micro-chipping and nail trimming. Come find your new best friend! **Arizona Poodle Rescue will participate. ** Adoption event in lovely Fountain Hills! More than 50 rescue groups with adoptable pets. Free Petco gift bags for adopters. Low cost microchipping and nail clipping. And lure course! No events posted at this time. We are adopting via application only and we are ONLY ACCEPTING APPLICATIONS FOR THE DOGS WE CURRENTLY HAVE LISTED ON PETFINDER as we are unable to handle the volume of applications we are receiving at this time. Arizona Poodle Rescue is an all volunteer group. We do not have a shelter. Our dogs are in private foster homes in the Phoenix area. We offer temporary care, spay or neuter, provide medical care when needed and find new suitable homes. Arizona Poodle Rescue is a non-profit 501 (c) (3) organization. As a non-profit, we rely on the generosity of poodle and dog lovers in general to assist us in continuing our mission of saving Standard Poodles in need. Arizona Poodle Rescue is a proud recipient of funding from Maddie’s Fund® (www.maddiesfund.org), helping to achieve a no-kill nation #ThanksToMaddie. To learn more about our partnership, click here.